By buying lovely things from us you are supporting our charitable work. 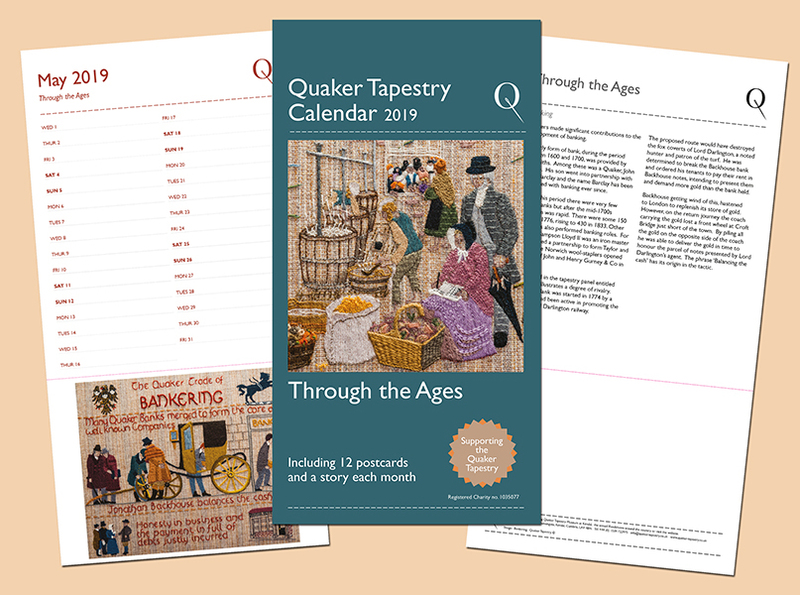 Quaker Tapestry Members receive a free calendar as part of their welcome pack upon joining. You could join today or gift a membership to a friend or loved one? Existing QT members will receive a calendar in the post next month. Calendar size 170mm x 325mm with wiro binding top including hanging hook with 12 tear-off colourful postcards and informative text. 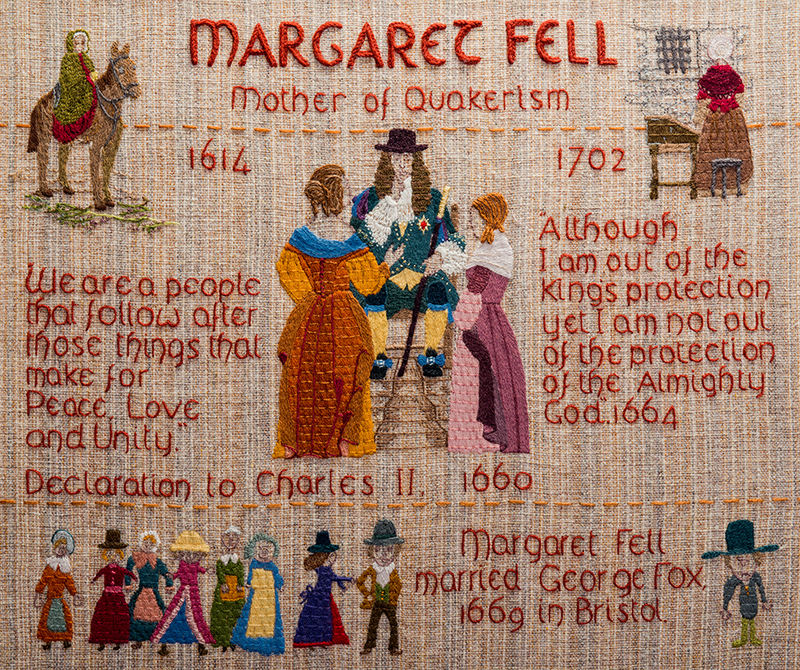 This calendar is compiled by Ann Warren, using contributions by members of the Quaker Tapestry Publications Committee. The 2019 chosen topic is ‘Through the Ages’. Quakers have often been uneasy about the status quo and determined to enact change for a better world. They have valued religious and personal freedom with strong involvement in campaigning against the slave trade, against repressive prison conditions and war. They have supported and championed education for all, especially the inculcation of social and moral values. These in turn led them to behave with honesty and integrity in the fields of banking, industry and commerce. Being unable to go to university until relatively recently they put their considerable energies into innovative and practical enterprises. They treated their employees well and were rewarded with loyalty and industry. The tolerance of different societal norms whether, for instance, with regard to marriage (especially before recent legislation) or conscientious objection to war, still to some extent, stands them apart. Despite this, throughout the world Quakers continue to work for peace, justice and reconciliation.